There was a time when air coolers were considered to be appropriate for people who were not much financially capable enough to afford an air conditioner. However, in this modern era, you will find air coolers being used even in rich homes. 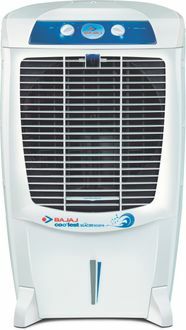 Amongst the numerous popular brands of air coolers, one common name is Bajaj. This Indian multinational company has managed to make its mark in the Indian market for air coolers with its wide variety of products at affordable prices. 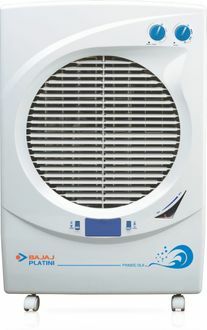 Bajaj air coolers are designed to look attractive and come with features such as wood wool cooling media, continuous water supply, multiple water inlets, castor wheels, powerful airflow, and much more. 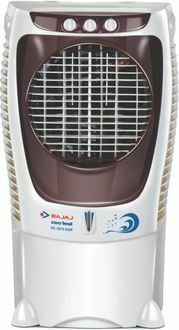 Feel free to go through the price list of 5 Bajaj 200W - 300W Air Coolers updated on 20th April 2019. 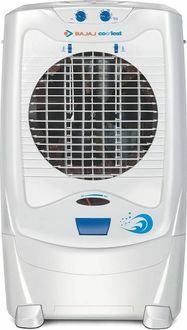 To choose the best air cooler for your personal use at home or in your office cabin, you need to take some time. You need to compare the different models based on their prices and features. Visiting different stores one at a time will end up wasting your time. The best option is to shop online. 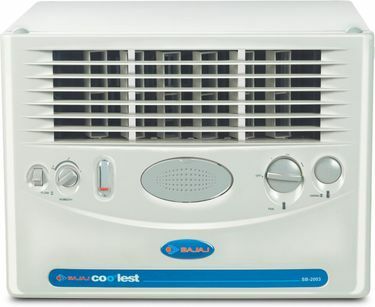 There are numerous online shopping sites such as Amazon, Croma, Tata Cliq, and Flipkart, where you will find a wide range of Bajaj air coolers. mysmartprice can help you compare the various types within a few minutes.